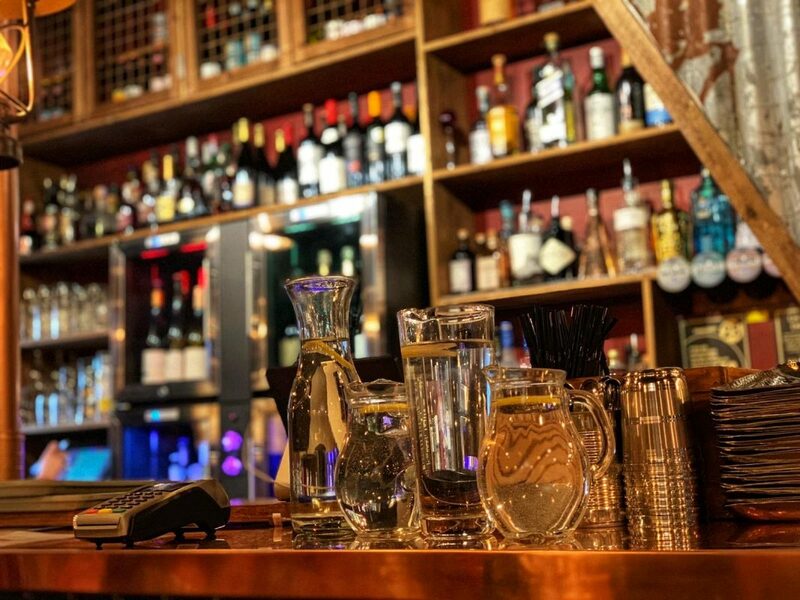 We were excited for the new opening of Patri restaurant in Northfields. Serving up meals inspired by Indian rail journey dishes and street food classic, the menu looks very appetising. The restaurant is modern with pops of traditional Indian dining scattered throughout. 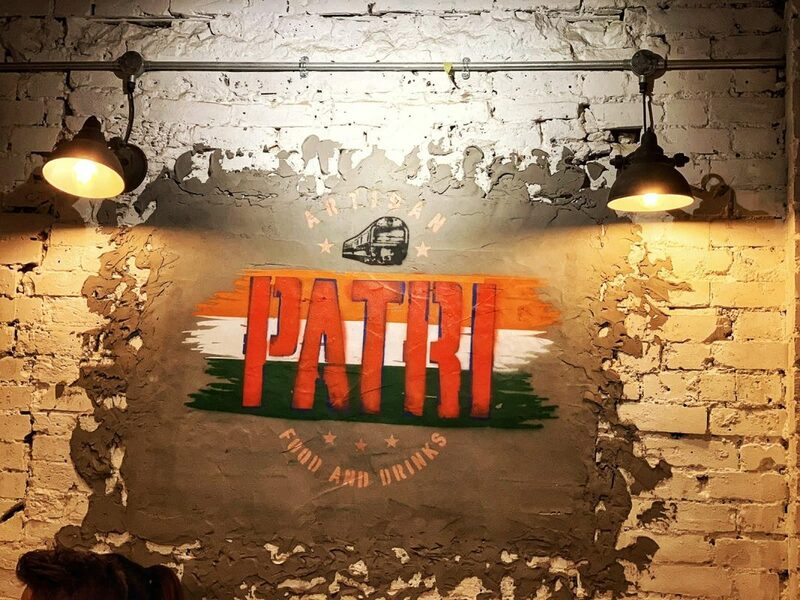 The stripped walls and corrugated metal evoke a raw sense of the railways and stations and the food is beautifully plated in traditional steel thalis. Patri offer a well stocked bar and cocktails galore. We opted for some Pornstar martinis which were strong and fruity. There are offerings of nimbu lemon soda, chai or lassi if you fancy a traditional accompaniment to your meal. 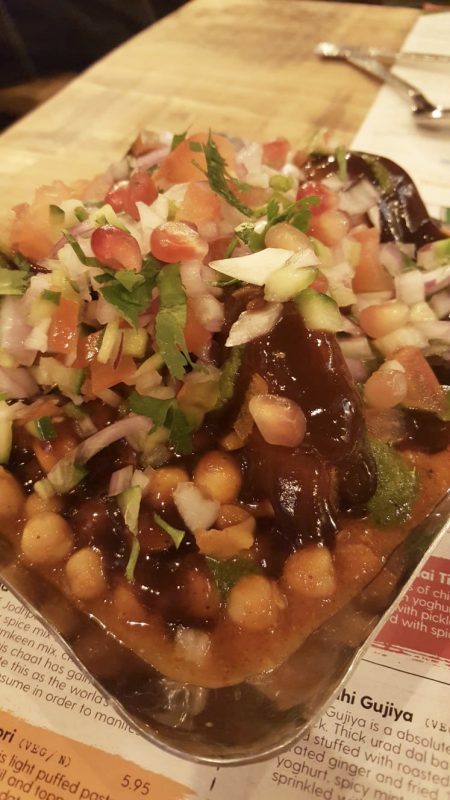 Next we had the Chatpati Aloo Tikki Chaat (£5.95) – potato cakes on chickpeas with lemon, vinegar, onions, tomato, pomegranate and a seriously lip smacking tamarind and mint chutney. The textures and pop of heat were fabulous in this dish. 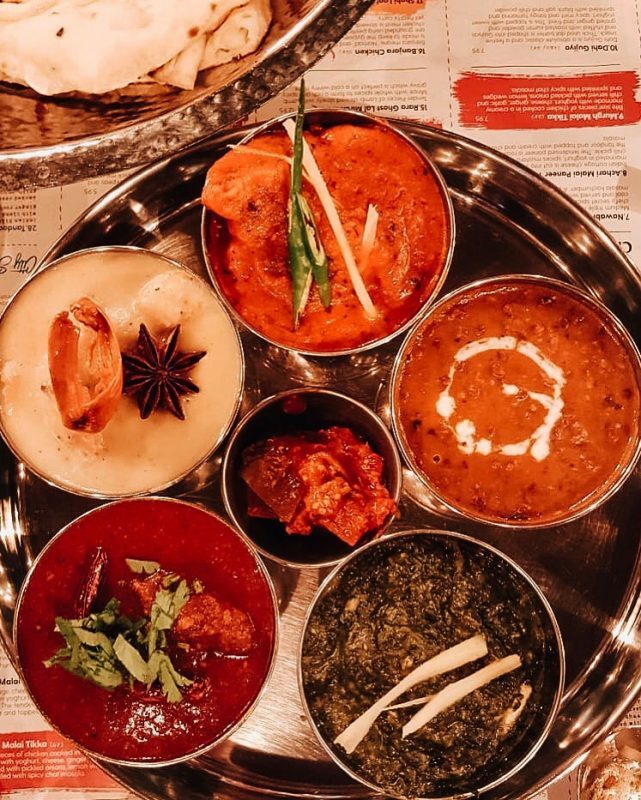 We opted for a Chef’s special thali of the day (£22.95 meat/£19.95 veg) consisting of tandoori starter, chicken curry, daal makhani, lal maas (lamb), palak paneer, rice, pickles and naan. We also had extras of monk fish curry to try. We loved every dish but our favourite was the monk fish curry as it was so rich and meaty with a salty spiced sauce. The daal makhani (simmered for 8 hours) was gorgeous and creamy and the palak paneer had the depth of flavour of traditional homemade versions. The dishes are a delight with intense flavours. There is serious heat to some of these dishes but they are handily marked on the menu if you prefer to avoid them! 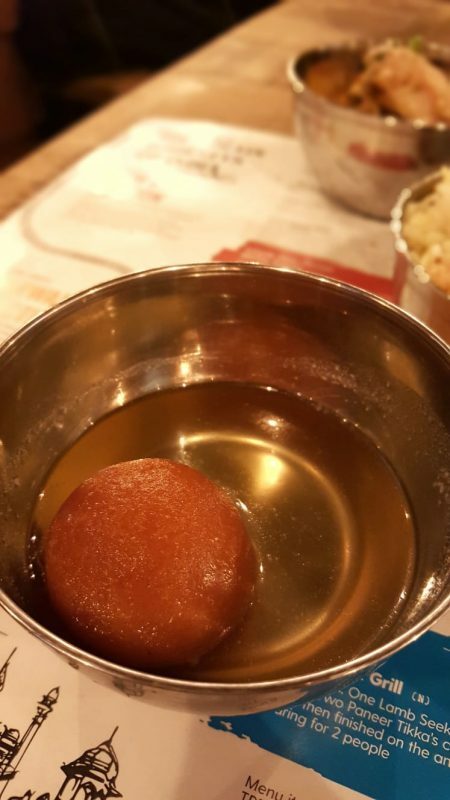 We ended with a melt in the mouth gulab jamun which is a popular traditional Indian dessert. It was juicy and sweet and the perfect end to the spicy dishes we enjoyed earlier. 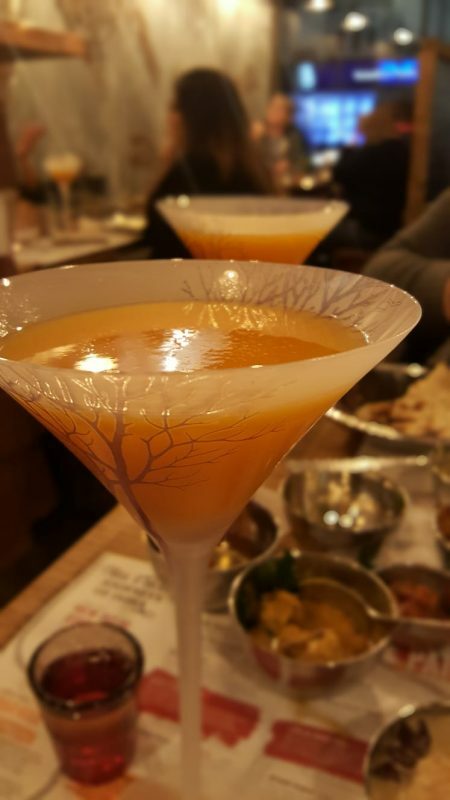 Patri restaurant in Northfields is a great little spot that cooks up Indian dishes with real traditional touches. The dishes have richness and depths of flavour that evoke true Indian flavour profiles. 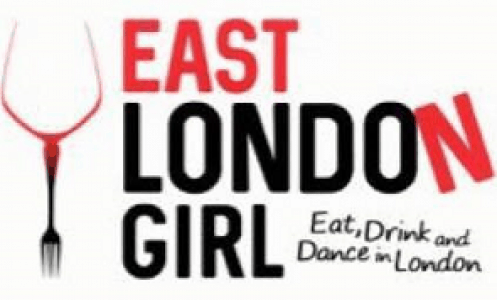 The staff are incredibly friendly and happy to explain the dishes and suggest items. There is a buzz about the restaurant, the music is cranked up a little later in the evening and there was a queue at the door as we left (and this was just a weekday). They handily mark vegan/gluten free options of which there are several across the menu. 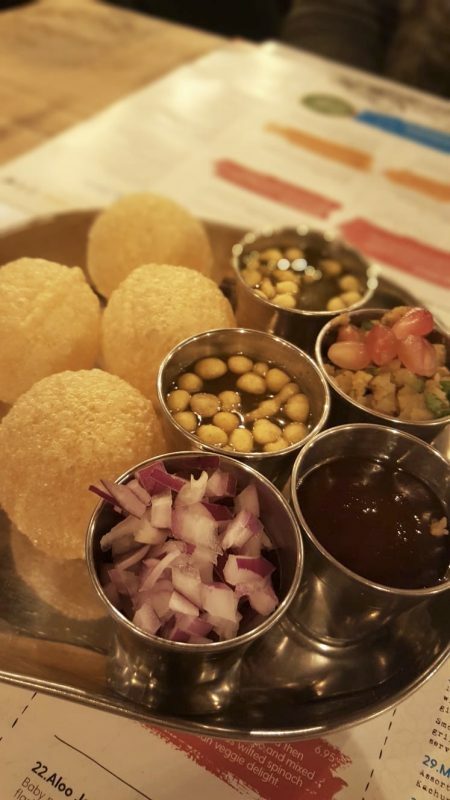 If authentic fiery Indian dishes are your thing, Patri is most certainly worth a trip for.